Joe de Kehoe is the son of a career US Navy master chief petty officer and grew up on and near Navy and Marine Corps bases in California, Japan, Florida and South Carolina. Joe graduated from California State University Northridge in 1970 with a BS degree in Geology and earned an MS degree in Geology from San Diego State University in 1972. It is probably a result of his geologic field work as a student that he acquired an enduring appreciation for the outdoors and a love for the subtle beauty and solitude of the desert. 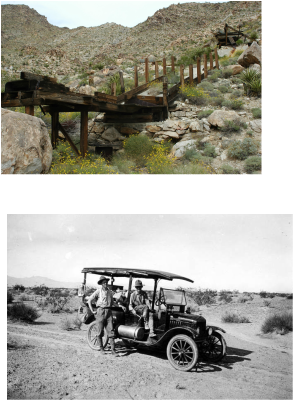 He has written dozens of articles for desert newsletters, has given talks to groups about the history of the Eastern Mojave Desert, and frequently leads groups on trips to visit remote sites for a first-hand look at desert localities. Joe de Kehoe is relentless about history. A retired geologist ... de Kehoe loves nothing more than to hang out with ghosts for days at a stretch in the mind-melting Mojave Desert of eastern San Berardino County. If you would like to contact Joe, leave a comment or a suggestion, or send him a book review, please fill out the form below. You may also reach him directly at trailsendpublishing@yahoo.com. © 2018 Trail's End Publishing | All Rights Reserved | Site built by Canopy Creative Marketing. Please contact the author for permission to use any of these photos.